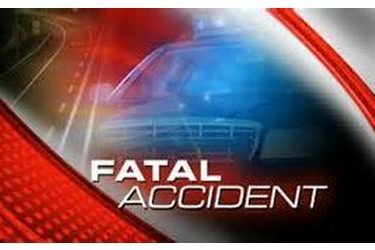 The Kansas Highway Patrol says icy/slushy road conditions caused two fatal accidents in Gray and Pawnee counties on Sunday. The first crash happened around 4 p.m. west of Cimarron on Highway 50. Officials say 71-year-old Amdedo Grieco of Santa Barbara, California was killed when his 1993 Mercedes lost control on ice and struck a 2015 Toyota Highlander driven by 47-year-old Garden City woman. The 47-year-old woman was transported to the hospital. Another passenger in Grieco�? ?s car was also taken to the hospital. A second crash happened around 5:30 p.m. one mile west of Pawnee Rock on Highway 56. Officials say a 2006 Harley Davidson driven by 39-year-old Joseph E. Freeman of Broken Arrow, Oklahoma was westbound when he lost control on the ice and struck a 2014 Chevy Traverse. Freeman was transported to Pawnee Valley Community Hospital where he died. The four occupants of the Traverse were all from Great Bend. Two were taken to the hospital for their injuries.